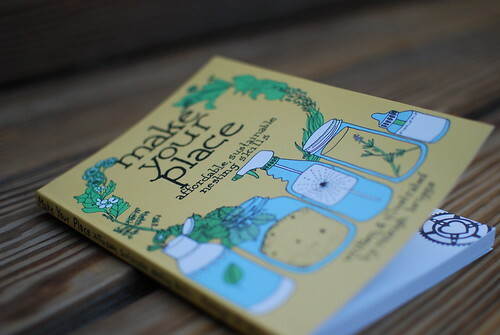 The same day that I received my GreenCraft magazine I also received a copy of Make Your Place. I saw the book over at Crafting a Green World and knew I had to have it. I mean everyone needs to have affordable, sustainable nesting skills, am I right? Plus, it cost $5. It is published by Microcosm Publishing, which has a really cool website and tons of very cool books. The whole book is handwritten and illustrated. It is loaded with information from herbal remedies, to homemade cleaners, and even gardening. I read this book cover to cover in one night. I absolutely loved it. I know I will keep it readily accessible because I will reference it often. If this sort of thing tickles your fancy, you really should splurge and get yourself a copy. i am SO gonna have to get that book! it's very popular right now. So neat that it is handwritten! What a wonderful idea for a book! 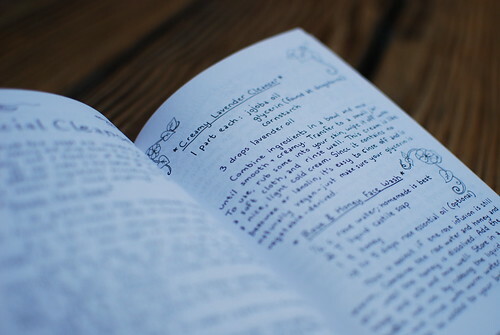 I love the handwritten idea. Ok, I actually just went and bought it. It looks so cool. My sister in law is very green too and I thought it would be a great gift...for $5.00, you cant go wrong.